I hope you’re getting fired up about business in 2019. I have a good feeling about this one. Anyway, after many years in business there’s one comment that just keeps on annoying me. That one liner that some business people roll out as an excuse for why they aren’t James Packer yet. That throwaway line, used by many, that assigns all blame and responsibility for their own business shortcomings onto their unsuspecting staff. And that line is, “we just can’t get good people these days”. This friends, is the line that just keeps on TAKING. Every time you lose a customer it’s because you can’t get good sales people. Every time you get called back to tidy up a tradies job it’s because you can’t get good trades people. Every time you go to the office kitchen and there’s no delta creams left it’s because you can’t get good people to take responsibility for taking the last biscuit. Out of the millions of people out there, not one, is capable of doing what you want? Are you serious? Well if you find yourself saying this line then I reckon you are just plain wrong. I would even suspect you have even come down with a bad case of stupid. It’s so wrong that I’m willing to bet, the “No Soup for You” apron that I got for Christmas, that I’m right. To throw this out to the world suggests you are just not in touch with the people you already employ and even worse, those you would like to attract. It makes the boss look like he’s given up on the world and is just managing the decline of the business until he croaks or goes broke. It is riddled with pessimism, negativity and dare I say it, arrogance. To demonstrate, let’s pretend I run a steel fabrication business employing seven tradesman, two apprentices and a blaster/painter. My mate asks at a BBQ “How’s business” and I say, “you know, I’d be much better off if I had better people”. OUCH ! What I’m really saying is that my business has no process for improving the skill level of my people. It says I have judged my crew as being inadequate because I didn’t make a million dollars last year. It says my apprentices are just nowhere near as skilled and hard working, as I was, when I did my time. It could say that the scheduling and procedures my people are forced to work with are disorganised and out of date. And the list goes on. The reality is, that in business you just can’t succeed if you don’t take responsibility for the development of your people. They need to be informed, organised, lead and supported from a central point of focus and that central point is you. This does not mean you have to send your people to Germany for an upgrade in their welding skills or send your administration team to Harvard to talk business with the Rockefella’s. But it does mean you have to look at yourself first. You need to be honest about how out of date you have become with your industries top performers. What new products, production methods and skill sets have been developed in the last year or two. And, what have you done recently about bringing those new things into your business. If the answer to this question is “not much” then it’s time to bridge the gap. 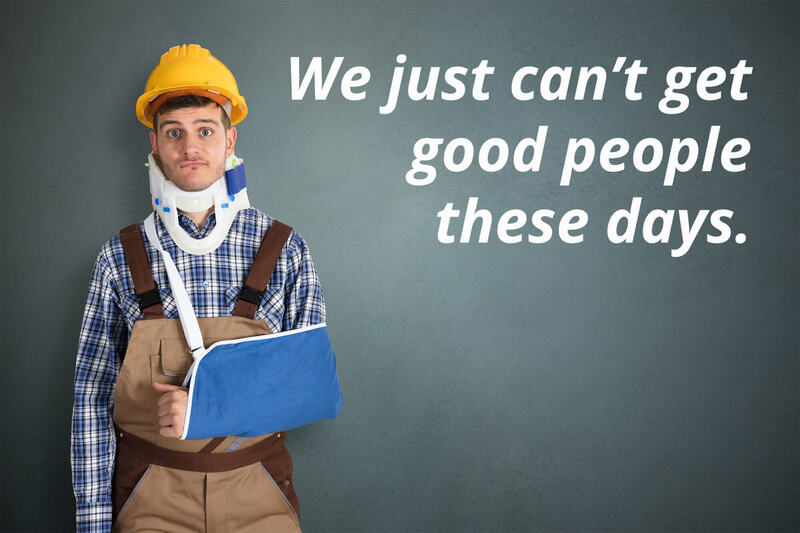 It’s time to stop blaming your people and get yourself back in the game. You may have been a groundbreaking genius when you kicked off twenty years ago but that beer is now warm. The good news is there are now more opportunities to improve and refresh your skills than even before. And by this I don’t mean buying scented candles for the office or picking up a new dream catcher from the Sunday markets. And I don’t mean you should get a face lift or wax your back. What I mean is that there are truck loads of short courses, conferences and expos out there that just might have your name on them. And before you say, “that’s all just reps selling stuff”, or, “yeah, nah, yeah, I’ve been to those before”, I ask that you be truthful. If it’s more than three years since you did any genuine industry engagement then it’s time. This could be as simple as kicking off a podcast series for the daily trip to work. Turns out some of those so called, self-promoting, know it all experts are actually quite bright. It also turns out some of those cheesy, shiney conference trotting “industry leaders” are actually real Industry Leaders. Yes there are plenty of good people out there to help you take your business forward and 2019 could be your year to catch up. To look within and become self- aware about where you sit on your industry learning curve and take steps to be the rekindle power house you once were. Because until you can honestly say you are personally leading the way in your business, your employees have every right to get a job somewhere else and say “you can’t get good bosses these days”. In 2019, Power 2 are embarking on a program to modernise and then modernise again. To get ahead of the curve with new business technologies and bring our people along for the ride. Let us know if you would like to join the adventure by clicking on the link.